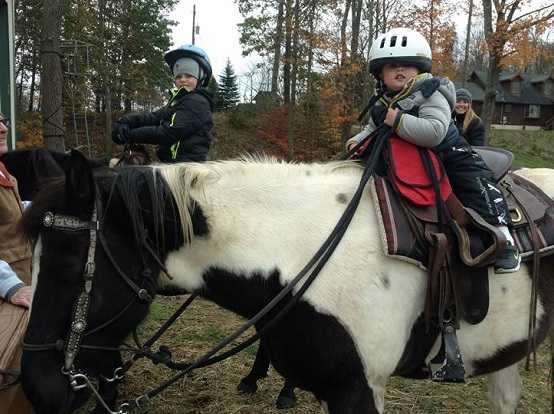 All Hoofed Up Ranch - Saddle up 'Em Horses and Prepare to Ride! 1 or 2 hour rides offered here at the Ranch! June 11th-15th, July 9th-13th, 16th-20th, July 30th-August 3rd, 9AM - 12PM Monday-Friday. 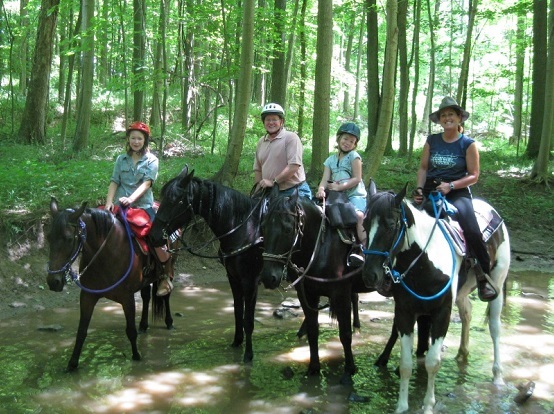 Horseback riding lessons and clinic available. 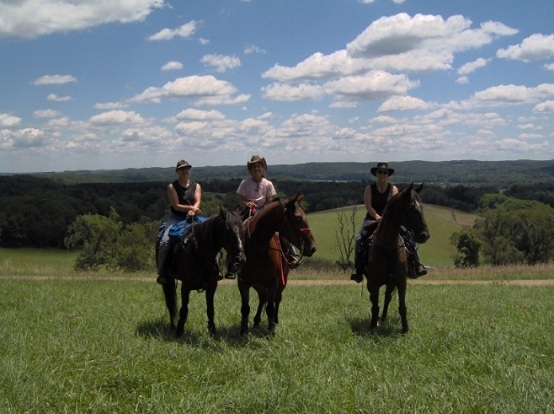 All Hoofed Up Ranch is located in central Ohio where the corn, wheat and soybean fields flourish. Marc and Lisa Sleeckx own this horse farm embedded with nature and a peaceful charm. 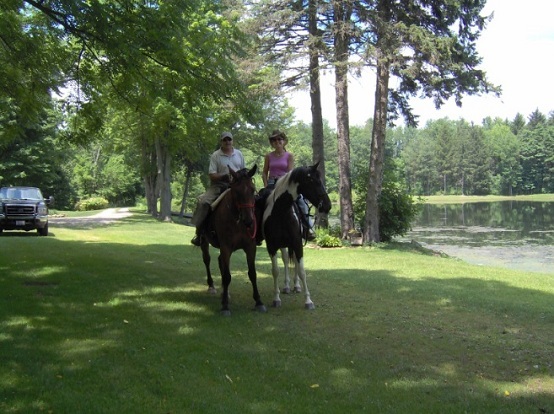 The Sleeckx share a love for both the outdoors and horses and they offer their experience to you. 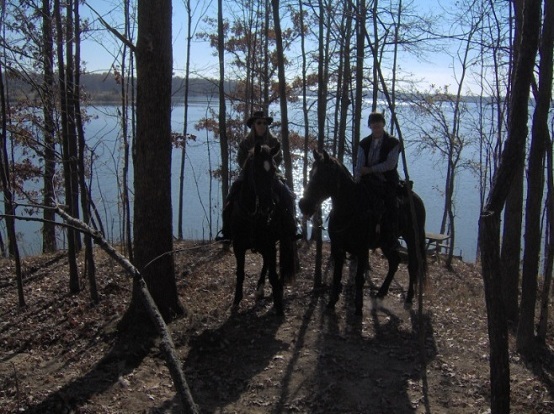 Experience horseback riding at it's best on a Tennessee Walker. 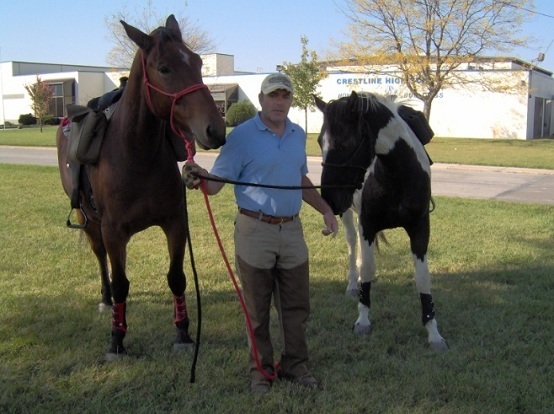 Their smooth gaits make it a comfortable and safe experience for all levels of riders. 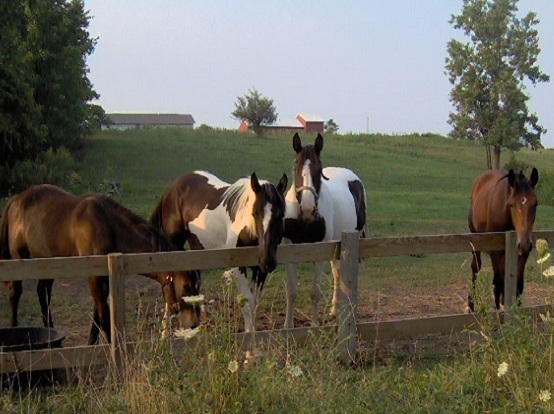 The herd also consists of a Paint horse and a Draft mix. 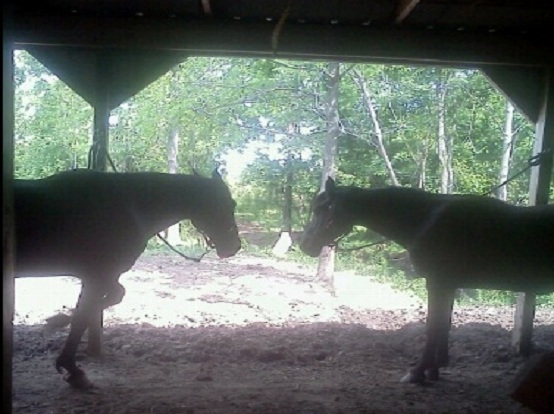 They are not gaited but they are beautiful, well behaved and fun to ride. You may ride Trooper, Pepsi, Lady, Tillie, Cinder, or our newest addition, Prince, and they will entertain you and give you a day to remember. They are remarkable! All Hoofed Up now offers daily horse back rides year round, weather permitting. Call for availbility. 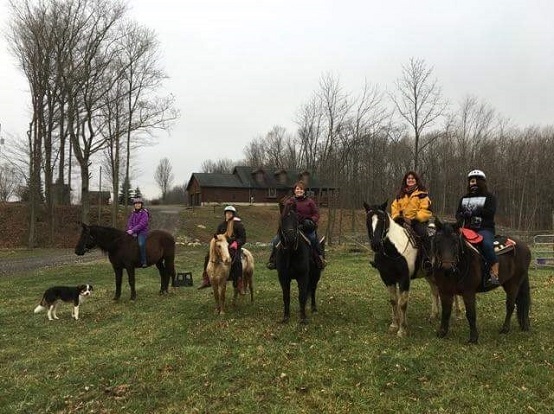 Horse back rides may be canceled at any time if the owners feel that the safety of the rider is at stake (ie: storms coming, wet conditions, injured horse, etc.). Come and create some memories with us. We'd love to have you! 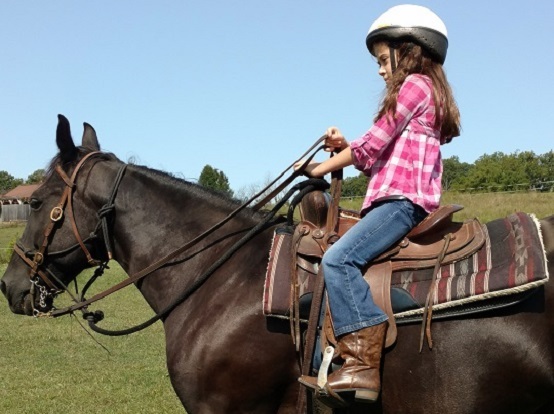 In this brand new article, in the September Edition of the Horse Trails & Camping Across America Magazine, Madly in Love, Lisa talks about a little girl who had an amazing experience! "I love riding with you! I can always count on your horses to keep me safe and give me the best ride! Lisa and her horses are so friendly! The trails are great and very fun! 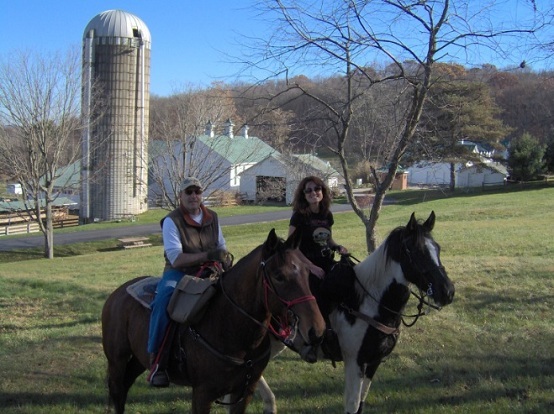 You can count on and Lisa and Marc and the horses to give you a very fun and safe ride. She will help you learn and get better at riding. Or if you are a great rider already, they will give you the ride of your life! Saddle up and ride them horses!!! YEEHAW!!!!!" 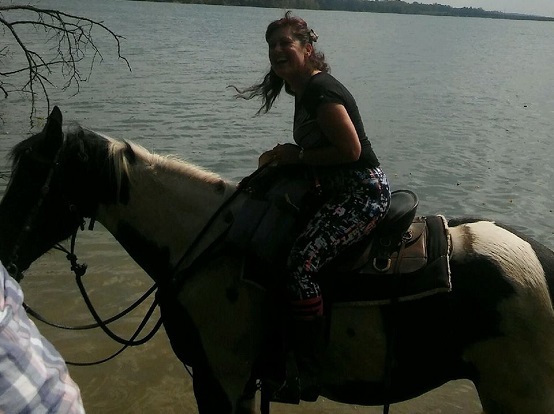 "I loved horseback riding! 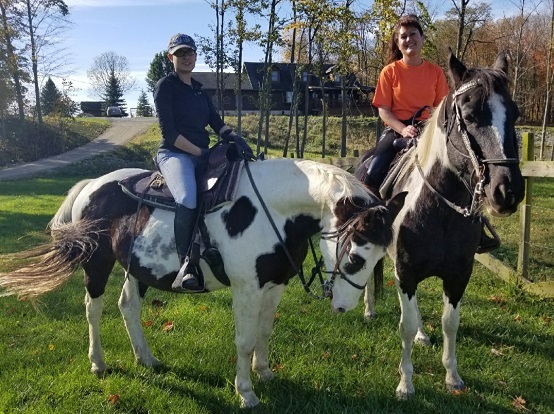 I hadn't ridden in years, and Lisa made sure I had just the right horse! 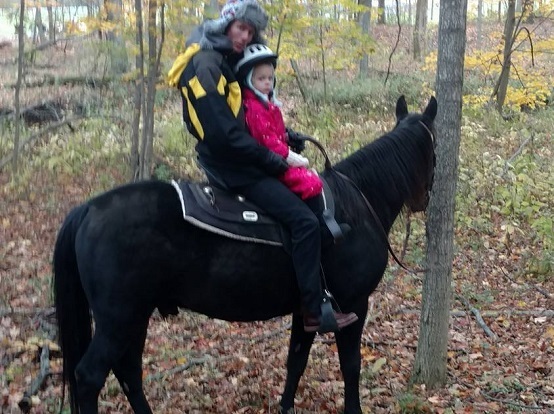 We rode for two hours, in streams, around the neighborhood and in fields. I got to walk, trot, canter and gallop! 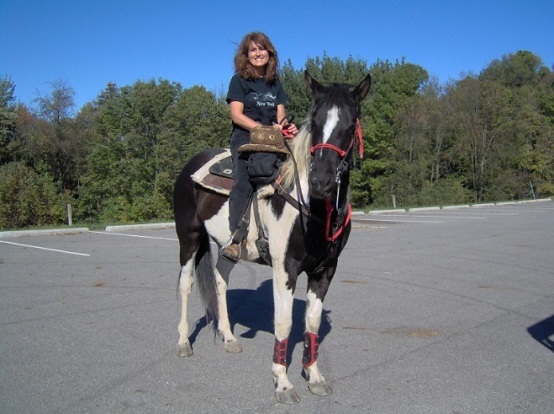 I've ridden with Lisa twice so far, and am looking forward to riding in Mohican with her! It's always an adventure. Her love of horses is truly evident!" 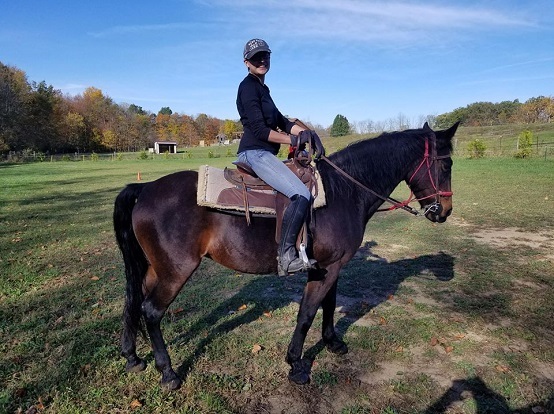 "Had a great ride on a beautiful horse.. Lisa the owner, gave me her best saddle due to a bad back... Let's just say I didn't want the ride to end!" 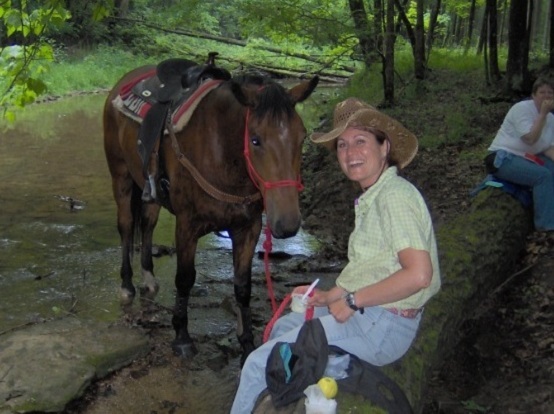 "I enjoyed getting to know the horses individually and learning a lot about taking care of them. I hope we can do it again sometime! I really and truly want to come ride again sometime very soon! I also really want to go riding in the snow!" "For a beginner my riding experience at the "All Hoofed Up Ranch" was all I could have asked for. 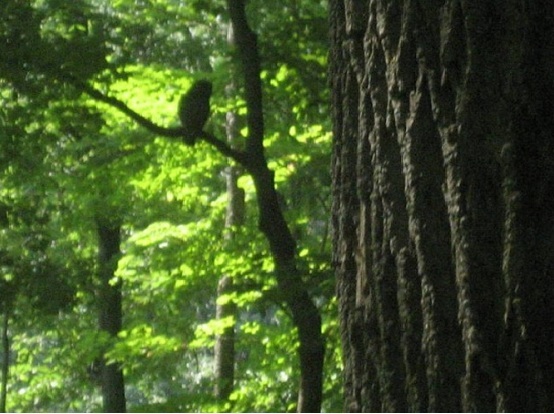 The variety of scenic trails through woods, fields and along rippling creeks seemed like a fantasy. Our experienced horse woman-guide made sure our safety was a priority and was such a delite with her entertaining stories of the horses personalities and antics. A real thumbs up!" "What a wonderful day; your hospitality is so relaxing. The cooking class was especially wonderful, not intimidating, informative and Perfect - a grand teacher and chef. We so appreciated knowing our girls were so well taken care of. You both put so much heart into your "work". It doesn't seem at all like work. Thank you for a wonderful experience. Oh, and Tilly was the very best of all - so patient with a little old lady!" "Wow! I didn't know what to expect and you blew me away! We all loved the experience of learning new things for us in the kitchen and the peaceful ride and dining experience. You found a niche! Looking forward to coming back!" 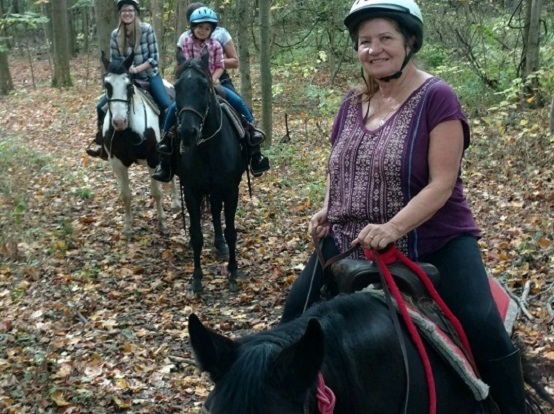 Thanks for the wonderful trail ride with my granddaughters. It was one of my best birthday presents ever. 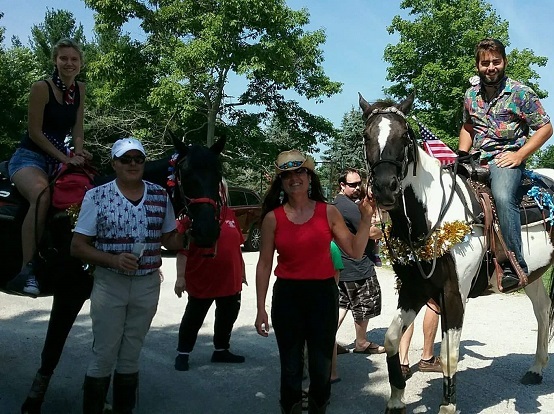 We enjoyed the riding very much and your kindness and care for my granddaughters and me made it a very special day. It was a little bit of Heaven for me. Thanks for your warm hospitality. We will be back." Join us also for Dinner with Chef Marc!